About Sanibel & Captiva Islands, Florida - BeachDirectory.Com - The entire Florida Gulf Coast...in detail! 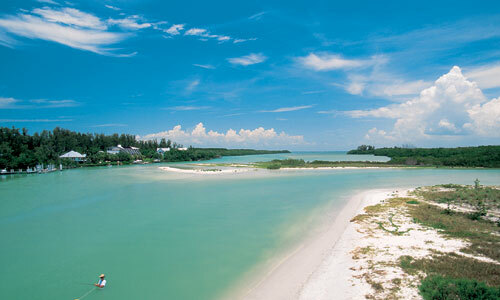 The area is often referred to as Sanibel-Captiva. 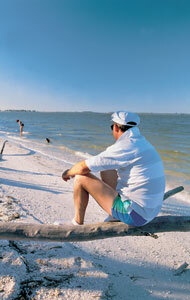 The island of Sanibel has a permanent population of 5,600, Captiva about 500. These numbers quadruple during tourist season. Sanibel Island, 12 miles long and 5 miles wide, is famous for it's sea shells. On any given day, hundred of people can be seen doing the "Sanibel Stoop" as they search for shells. Due to the many people searching for shells, the beaches get depleted, so you may want to consider heading out on a boat. Canoes and bicycles can be rented at a variety of places, and power boats can be rented at the Sanibel Marina. 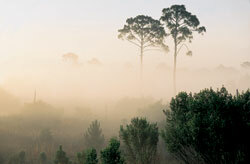 Sanibel is dedicated to preservation - over 40% of the island is wildlife preserve, including the famous J.N. Ding Darling National Wildlife Refuge. 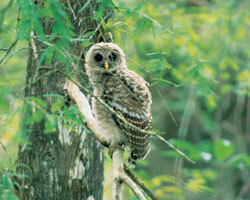 The Sanibel Captiva Conservation Foundation, or simply SCCF operates a Nature Center that is open M-F. They also offer guided nature trail walks three days a week, and a variety of other programs. Care and Rehabilitation of Wildlife (C.R.O.W.) has been rescuing and rehabilitating sick and injured wildlife on Sanibel Island since 1968. A Sanibel tradition, C.R.O.W. offers educational tours, other services, and membership. Other recreational opportunities: there are two golf courses, 26 miles of bicycles trails, and 17 miles of beaches. Not enough to plan your trip? You can request a vacation guide from the Sanibel & Captiva Islands Chamber of Commerce. The City of Sanibel has a reasonably good website. There are at least nine churches, but only the multi-denominational Sanibel Community Church have a website. Speaking of churches, A Wedding Dream in Paradise specializes in arranging weddings along the Gulf Coast. As far as we know, no local papers have websites, although there is basic information available about the Island Reporter and the Captiva Chronicle. While in the area, do take the time to visit the Everglades. The Florida Everglades Chamber of Commerce has a useful site to help you plan your activities. Don't miss the quaint village of Everglades City, as well as Ochopee Post Office, the smallest in America. Also, even if you hate outdoorsy things, head out on an airboat in the Everglades - it is a one-of-a-kind experience that cannot be found anywhere else in the world.